It was September 17, 2015. As my family prepared to leave for vacation later that day, I received a phone call about a fire at the home of Scott and Nicole Westerhuis. Nicole was the daughter of George and Karen Fish, and George was the president of our congregation, Bethel Lutheran Brethren of Platte, South Dakota. At the time of the call, the Westerhuis family’s whereabouts were unknown. As I stood outside the house with George and Karen, we prayed that their daughter, Nicole, son-in-law, Scott, and grandchildren, Michael, Connor, Jaeci, and Kailey were on a trip and not in the house. But later in the day, our greatest fears were realized when firefighters found the family in the home. What a tragedy! The Westerhuis family was involved in many community activities, with the children enrolled in elementary school and high school, so the loss was felt throughout the community. George and Karen are members of Bethel, Scott and Nicole were members of the First Reformed Church, and Scott’s mom, Pat, is a member of the Christian Reformed Church. So all three churches mourned the loss of this family. I called Pastor Gary Witkop, CLB Western Regional Pastor, to let him know what had happened and to ask him for prayer for the community and for local pastors ministering to the community in this sad time. Gary offered prayer over the phone and asked if I wanted him to come to Platte. I thanked him and said that I thought I could handle things at this time. But things got a lot worse. As the weekend went on, the investigation into the fire took a turn. It was determined that it was not an accidental fire, but a deliberately set fire at the scene of a murder-suicide. On Monday, around 5 PM, I was asked by the police to accompany them to George and Karen’s house, as they brought news that their daughter and grandchildren had been murdered by their son-in-law before he set fire to the house and shot himself. It was difficult for me, but devastating news for George and Karen. On the drive I called Pastor Witkop and asked him to come to Platte. Not only did I need his help, but I felt our entire community would soon need as much pastoral support as possible. Gary said he would come, and that he would start the nine-hour trip from Colorado first thing in the morning. That evening, the nightly news reported the murder-suicide, and our whole community felt the painful sting of death. The following morning, a group of us were gathered to pray when Pastor Gary walked in. He was unable to sleep the night before, so he decided to drive through the night to be with us. His presence was a blessing and source of encouragement to our community. He stayed several days and walked alongside the Platte Ministerial Association as we ministered to the families of those who were hurting. In hindsight, I can now see how God had been preparing our Ministerial Association for this tragedy. We are an active group of pastors who work together for the glory of God. About eight years ago, the Ministerial started the process to bring Christian counselors to the community. This led to the Ministerial becoming an official 501(c)(3) nonprofit organization. These two seemingly small things have played a big part in the healing process of our community. We now have two wonderful Christian counselors who have been working with children, teens, parents, and so many more people affected by the tragedy. They have helped us pastors in the community be more effective in our ministry and in helping the community heal. There is still a long way to go, but I believe God is carrying us through the process. A year after the tragic deaths of the Westerhuis family, the estate put the property up for auction. The house is gone, but a large complex remains, estimated at a value of $1.5 million. 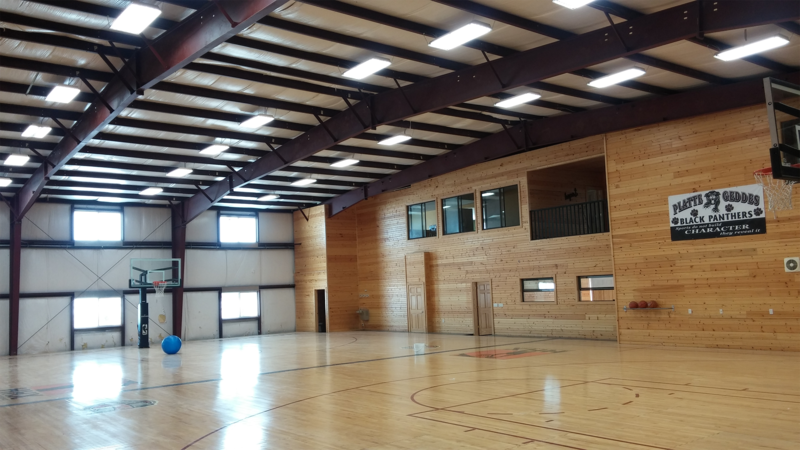 It consists of 40 acres, with a steel-framed building that houses a full-sized gym, a large room and office space on the main floor, four bedrooms with bathrooms, a kitchen and gathering space on the upper floor, and a large garage unit. After some discussion and a lot of prayer, the Platte Ministerial Association came to the conclusion that the Lord was leading us to buy the property with the purpose of turning it into a Christian retreat center. We shared our vision with the community and asked for financial support. In this regard, the Ministerial’s non-profit status was once again very important. We knew from the start that this was a God-sized plan and only God could accomplish it, and that is exactly what he did. 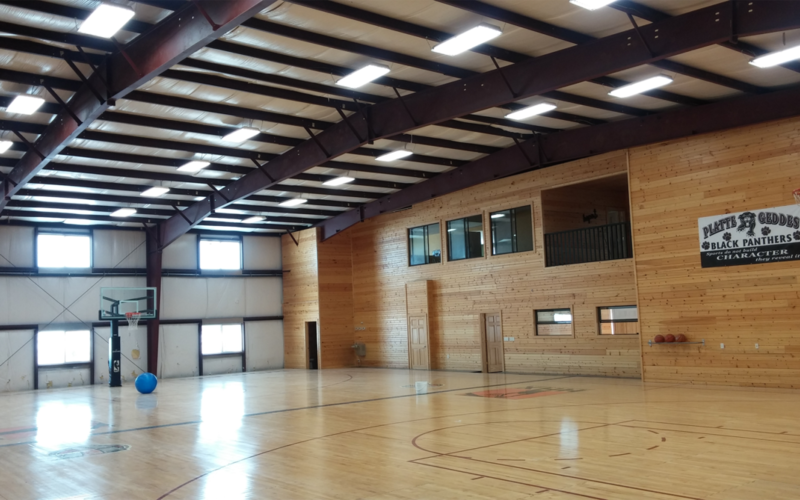 Over the next few months, God provided funds for the purchase of the facility in amazing ways. We are now in the process of finishing the upstairs rooms. This spring we will reopen the facility as the New Hope Christian Camp and Retreat Center. God is redeeming this property in the name of Jesus Christ. These facilities are being transformed into a place where children will once again laugh and play, but more importantly, they will hear the name of Jesus Christ proclaimed. The community still hurts, but we hear testimonies daily about the healing that has been happening. We are reminded how God took the greatest injustice and tragedy, the death of his only Son, and turned it into our greatest good. God sent his Son to redeem not only us, but the whole world. This is who God is. He takes things that are dark and empty and shines the light of his grace upon them. No one could have foreseen such an unspeakable tragedy. But God was at work—before, during, and after—to provide for his people’s needs and to accomplish his purposes in the Platte community. Rev. Joel Davis serves as pastor at Bethel Lutheran Brethren Church in Platte, South Dakota.